The weather is starting to change, which always means comfort food to me. My Homemade Steak Fries say comfort right from the beginning. These fries are seasoned to perfection with a little bit of zip and they are cooked to crispy goodness. They are a great side dish and work wonders with getting your toddler to eat her vegetables so that she can have another fry. These fries are perfect for colder weather because they are absolute comfort food. You want to start out by peeling and slicing your potatoes to wedge size fries. A tip that’ll save your wedges from turning brown while you’re slicing all of them, is to place them in a cold bowl of water once they’re cut. You’ll want to use a large pot to fry the french fries in because you don’t want the fries to touch each other when they are cooking. So the larger the pot, the less time it’ll take to cook all of the fries. Make sure that you have enough oil to cover the fries though so if you’re using a large pot you might need to add more oil. 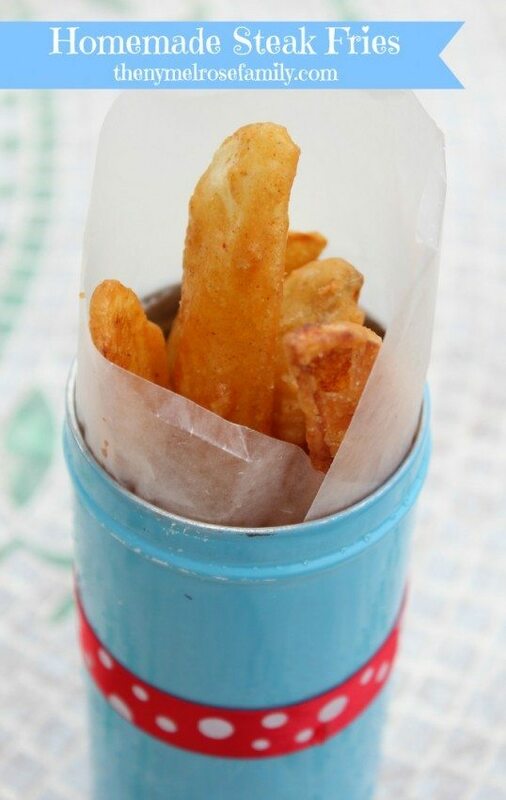 If your mixture for coating the fries does not easily drip from your spoon, you’ll want to add a bit more water. My husband describes the mixture as looking like cement when it is mixed. Lovely, I know, but you get the picture. Slice potatoes into wedge size slices. Place the sliced potatoes in water while waiting to be fried so that they don’t brown. Heat the 1 cup of vegetable oil over medium high heat. While the oil heats combine the remaining ingredients in a bowl and mix together for a soupy consistency. 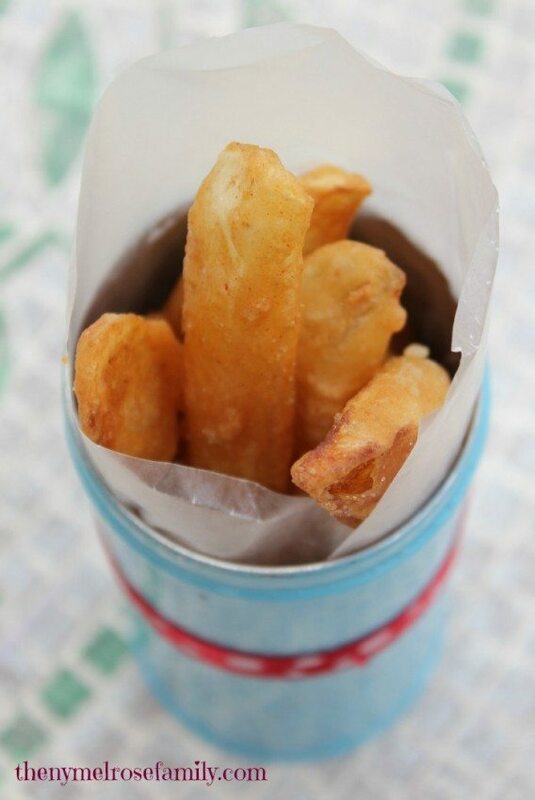 Dip the fries in the mixture and place in the oil and fry until they are golden brown. Make sure that the fries are not touching in the mixture or they will stick together. Place on a paper towel after removing from the oil and serve. Takes about 45 mins. to cook and serves 4-6 people. Homemade fries are probably our FAVORITE thing we make at home. LOVE them! I am definitely going to try these!! Yum!! Your steak fries look delicous! Hi, thanks for sharing these french fries on made by you mon. Our family love french fries and it’s nice to eat homemade ones. I’m so glad these aren’t baked, they just taste so much better fried. Going to have to try them with the batter, oh I’m craving them now! Theses look delicious! Wish you had a pin it button though. Yummmm. These look like amazing fries! Looks like the kind you’d get at a fancy steak restaurant!! Trying these this week. I love coated fries!